Siddhas are a religious order of mystics found in the southern part of India. Their origins can be traced back to the eighth century. 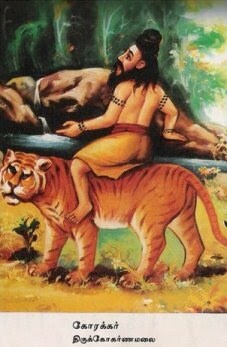 The word “Siddha” comes from the word “Siddhi” which means an object to be attained perfection or heavenly bliss. Siddhas relied only on the Human being's efforts for the accomplishment of liberation. Their attribute attitude is: find out for yourself. They wrote their discoveries, in the form of poems in Tamil language, on palm leaf which are gathered and stored in what are identified today as Palm leaf manuscript, today still owned by private families in Tamil Nadu and handed down through the generations, as well as public organizations such as universities world over (India, Germany, Britain, U.S.A.). Siddhas who came in a line of wandering saints, claim a divine origin; according to them Lord SHIVA (Hindu God) is the first Siddha. Some times their origin is traced to the mysterious mythical sage, THIRUMULAR. He is regarded as the supreme preceptor and originator of the exoteric school of Siddhas . Siddhas explored and explained the reality of Nature and its relationship to man by their yogic awareness and experimental findings. They prostulated the concept of spiritualism for self-improvement and practices propounded by them came to be known as the “Siddha System”. A sense of mystery prevails about Siddhars, or people who achieved siddhi. They are philosophers, healers and people with supernatural powers. While they were reputed to be miracle men, the medical science they practiced is surprisingly well documented. 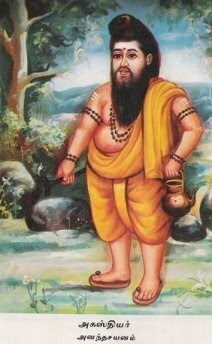 THIRUMULAR, RAMADEVAR, KUMBAMUNI, IDAIKADAR, DHANVANTHRI, VALMIKI, KAMALAMUNI, BHOGANADAR, MACHAMUNI, KONGANAR, PATHANJALI, NANDIDEVAR, BOTHAGURU, PAMBATTI SIDDHAR, SATTAIMUNI, SUNDARANANDADEVAR, KUDAMBAISIDDHAR AND KORAKAR. Siddha science considers nature and man as essentially one. A close relationship is found to exist between the external world and the internal system of man. Practitioners of Siddha maintain that the structure of the human body is a miniature world in itself. Man consumes water and food, breathes the air and thus maintains the heat in the body. He is alive on account of the life force given by ether. The earth is the first element which gives fine shape to the body including bones, tissues, muscles, skin, hair etc. Water is the second elements representing blood, secretions of the glands, vital fluid etc. Fire is the third element that gives motion, vigor and vitality to the body. It also helps digestion, circulation and stimulation besides respiration and the nervous system. Above all, ether is the characteristic of man`s mental and spiritual faculties. Siddha acknowledges the power of Raja yoga. The serpent power or kundalini is believed to be dormant at the base of the spine, in the sacral region (Mooladhara Chakra). Siddhars are said to be capable of releasing this power. This power is to be control hormones and lead to greater perception. 'Siddha medicine’ means medicine that is ‘perfect’. Siddha medicine revitalizes and rejuvenates the organs, the dysfunction of which is causing the disease. This brings back normal functioning of the organs. It also maintains ratio of Vata, Pitta and Kapha, thus maintaining the healthy state of the body. Since no artificial chemicals are involved, it doesn’t cause ay side effects. Siddha is a psychosomatic medicine that deals with the relationship between the mind and body. Man is composed of 96 forces. These are both physical and methaphysical. Therefore, a person’s health can be effected by physical, emotional, mental or karmic disturbances. The Siddha system does not believe in merely treating the symptoms. It eradicates the root cause for the illness, provides relief and also prevents recurrence. 1. Does Naadi Jothysiam really exist? If yes, do you have a trust worthy resource in India. 2. 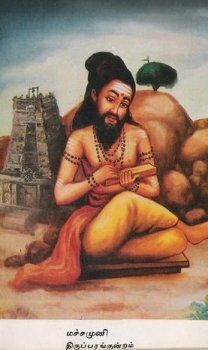 I see many articles about Guru Peyirchi... many a times - rating or marks allotted for my sign --> Scorpio (Virchigam) is excellent but during those days, whatever i desired, the exact opposite happened. So my understanding is that, these predictions are generic and we need not worry much...pls comment. 3. what is the best remedy or solution for "6 rukku 8" - in husband and wife. I know a couple who have good love but they constantly argue over petty things....they did few pariharams but in vain.